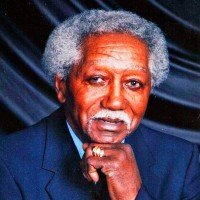 Hinton, Simmie Age 86, of Minneapolis went home to be with the Lord on Dec. 13, 2017. Born in Richton, Mississippi, Oct. 6, 1931 he moved to Minneapolis in the mid 1960's where he worked as a Metro Tran-sit Bus Driver for 28 years. After retirement, he worked part-time at the MSP airport shining shoes. He was preceded in death by his parents, Louis and Gracie Hinton and his brothers, John and L.C. Hinton. Survived by his wife, Marsha (Chapin) Hinton; children Melissa Hinton and son Nathanael; Kimberly (Will) Hunn and children Matthew and Joshua; Mitchell (Heather) Hinton and children, Daniel, P.J. and Joey; and Vanessa Hinton. 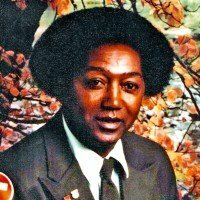 Also survived by sister, Mary (Hinton) Cain of Lawton, OK; his daughters, Michelle Carter of Richton, MS and children, Andre, Ja'Teri, Taurean, Tre and Malik; Gwendolyn (Rick) Townsend of Lithonia, GA and daughter, Olivia; Simmetha (Kenny) Miller of Toom-suba, MS and children, Willie Jr., Kendall, Ebony and Jordan. Visitation (10 a.m.) and Funeral Service (11 a.m.) and Luncheon to follow on 12/21/2017 at Southtown Baptist Church; 2600 W. 82nd St. Bloomington, MN 55431. In lieu of flowers, memorials preferred to the family.